What’s your style? Whether it’s clean and minimalist or rustic and charming, Windows Floors & Decor has a wide selection of living room, dining room, bedroom, and home office furniture to ensure that you and your family can sit both comfortably and fashionably. Tables and chairs for the kitchen. Armchairs for the living room. Bed frames for the master bedroom and kids’ rooms. Bookcases and desks for the office. It’s hard to know what will look amazing in the rooms in your home. Windows Floors & Decor makes the home furniture shopping process a breeze. With personal design consultants by your side, you can browse our selection of high quality furniture that fits any style for any room in a no-pressure, anything-goes environment. After a long and taxing day, there’s nothing better than chilling out on a comfy couch and binge-watching your newest Netflix obsession. Featuring a selection of the nation’s top brands, the Windows Floors & Decor furniture showroom is replete with options. 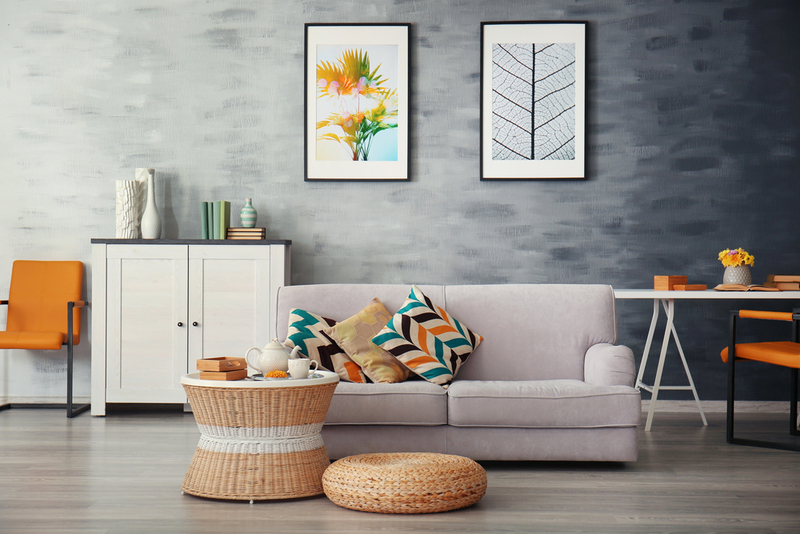 You’re sure to find the sofa, loveseat, or sectional in the color, material, shape, and size that fits your couch surfing needs. Need a matching ottoman or coffee table? We have that, too. We may operate a furniture showroom, but we won’t scalp you on prices. Our goal is to help homeowners in the greater Kansas City metro area find the furniture that fits their style and their budgets. That way, you don’t have to sacrifice one for the other. Our professional design consultants are waiting for you, ready to offer up their expert advice on what furniture will complete your home. Let’s get started. Be sure to ask us about our delivery services!